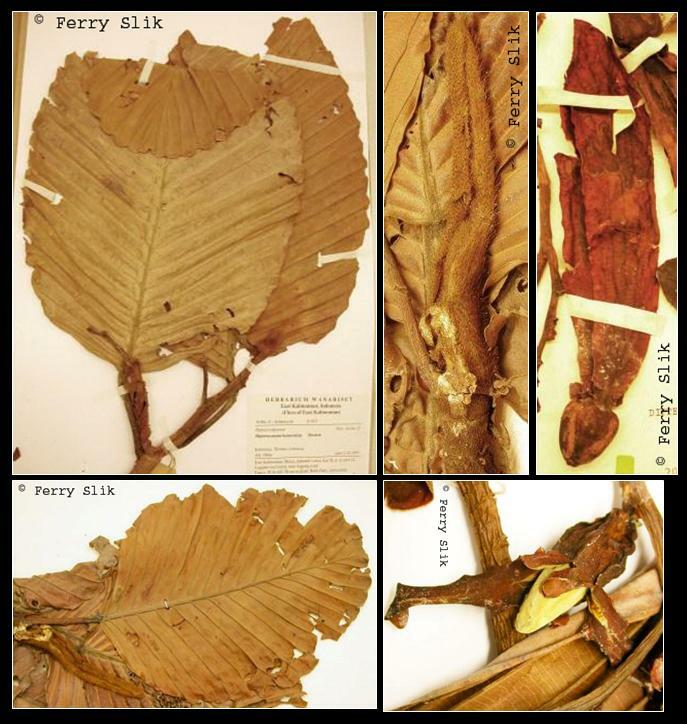 Dipterocarpus retusus (non Bl.) Ridl. Emergent tree up to 59 m tall and 113 cm dbh. Stem with resin. Stipules up to ca. 100 mm long. Leaves alternate, simple, penni-veined, glabrous, lamina folded between secondary veins. Flowers ca. 30 mm in diameter, greenish-white, placed in racemes. Fruits ca. 30 mm long, green-red, with two ca. 185 mm long wings placed on top of the nut, wind dispersed. In undisturbed mixed dipterocarp forests up to 600 m altitude. On hillsides and ridges with sandy to clayey soils. Borneo: Bajan, Keruing kerupok, Keruing kipas, Tempehes, Tempudau. Malaysia: Keruing kerukup, Keruing latek bukit.